Moving components and sub-assemblies through a high-volume operation is complex. Part geometry, product variants, and interfacing with operators all create a design challenge that requires a partner with decades of experience. Autocraft designs and builds custom material carriers that contribute to the production of millions of vehicles, heavy equipment, and home appliances every year. Autocraft is the industry standard for moving and orienting instrument panels for safe and efficient installation. Our patented carriers safely secure product and drive the manipulation needed for a damage-free installation every time. We excel at building a carrier that accommodates multiple models and product variants. 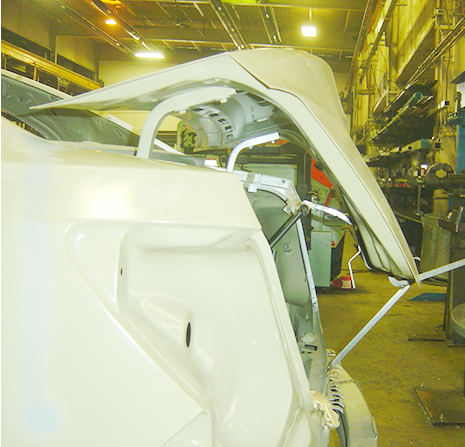 Autocraft's door carriers can be found in dozens of automotive plant throughout the world. Our patented design can securely hold all 4 doors and is hung from an overhead rail system. Mitigating the likelihood of door damage is key and we take pride in the durability of our design. Autocraft bridles securely fasten to an engine to facilitate safe and damage-free movement on the production line. Color coordinated hooks and thoughtful design allows for one bridle to support multiple engine variants. Autocraft's heavy duty custom containers & dunnage allow manufacturers to safely and efficiently transport large components. We've built containers & dunnage for aircraft wing components, dishwashers, instrument panels, lawnmowers, mining equipment, and all components of the drive train. 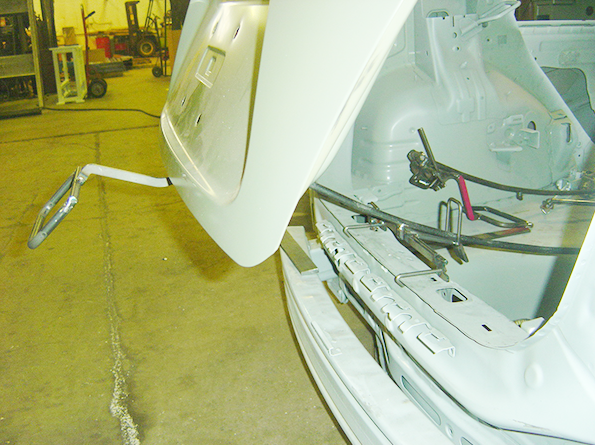 Autocraft paint jigs are used to move parts through a paint process. Our jigs have been used in the finishing of millions of components and a deep understanding of part geometry and industrial paint systems have made Autocraft paint jigs an automotive industry standard.